The day is over and the sun is setting on a productive day of scuba diving. But is it really time to hang up your dive fins for the night, or do you dare slip back into the water? 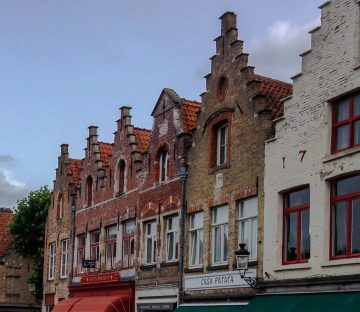 Many places are defined as the cities that never sleep – but did you know that it’s not just on land that this holds true. As the sun goes down and darkness begins to set in, the underwater environment changes. Creatures go to sleep while others wake up, and the reef is completely transformed. 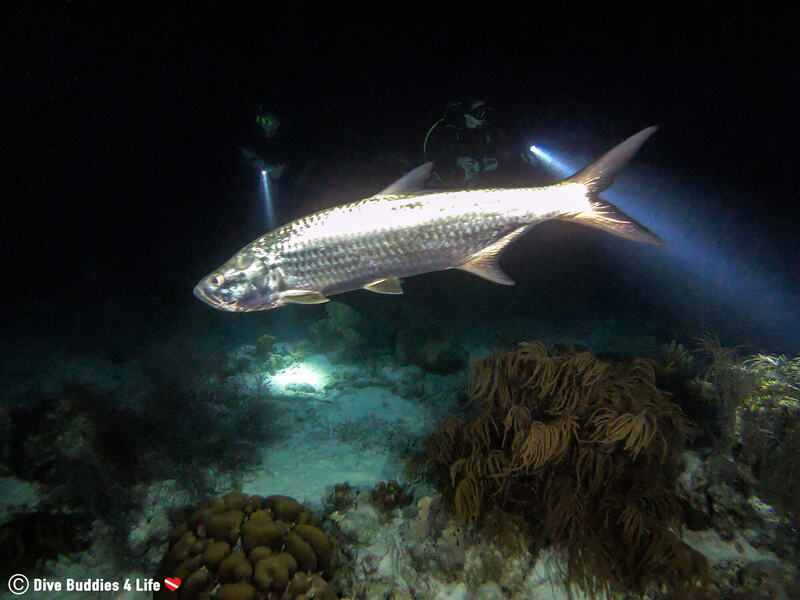 As the name implies, night diving is a dive that occurs at night. This means that divers suit up and head into the water during the earth’s hours of darkness, between sunset and sunrise. Night diving has a way of raising the hairs on the back of your neck, no matter what level of diver you are. 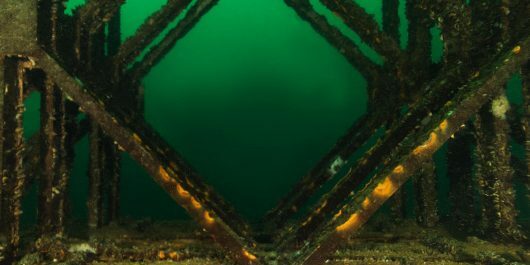 Descending down into the black watery abyss with nothing but the narrow beam of your dive torch lighting the way, can easily conjure up images of discomfort and fear. As humans, it’s unsettling being in an environment we are not created for. We are not equipped to move as fluidly as on land. We depend on a man made apparatus to breath underwater. Our sense of hearing is all but useless. And at night we even dare take our eyesight out of the equation. Top that off with an uncanny fear of the unknown, lurking just outside of our torch beam and it’s almost understandable that some fear night diving. Why you should try night diving? As scary as a night dive may sound, it’s an experience every diver should try at least once in there life. 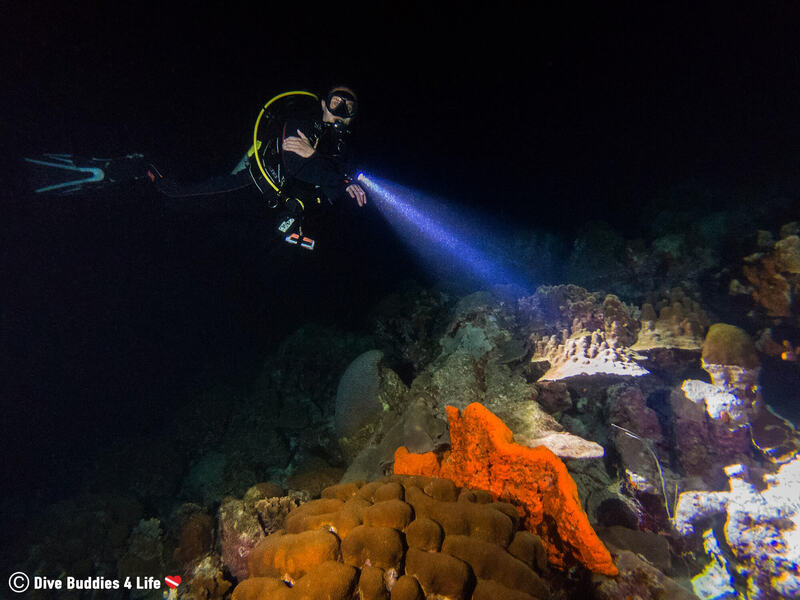 Nothing heightens the senses and gets the adrenaline pumping better than diving at night. 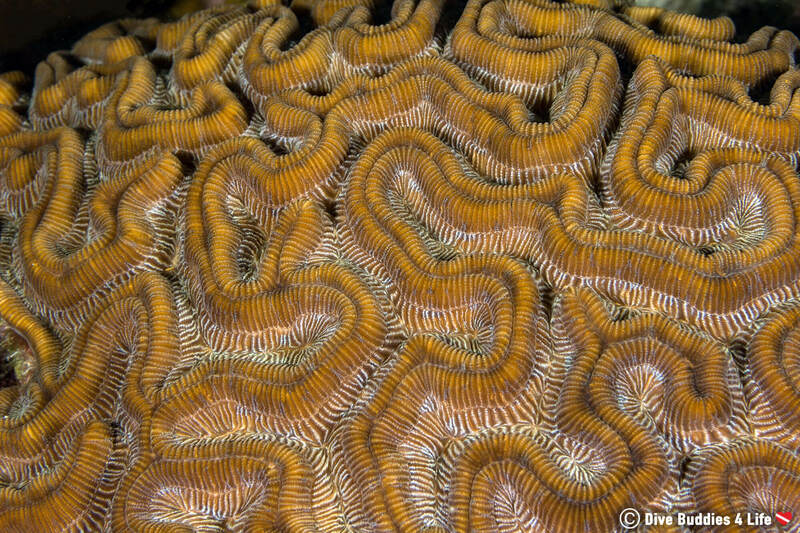 It really give you a newfound admiration for the animals and corals that call this environment home. 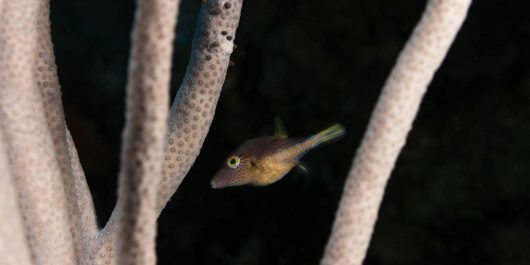 From nocturnal animals that come out of the shadows to hunt, to a thousand sparks of bioluminescent plankton lighting up the ocean around you, life on the reef is substantially different at night. During a day dive you can look around in every direction. At night you’re entirely focused on where your dive torch is pointing, and what it’s lighting up. It gives many a better, less-distracted appreciation for what surrounds them. It helps see many of the little things that can get overlooked during the day. Night diving is a unique and exhilarating adventure that enables you to see a familiar dive site with new eyes. Why limit yourself to daytime diving when so much happen once the sun goes down? There is nothing quite like taking a stroll along the reef at night. 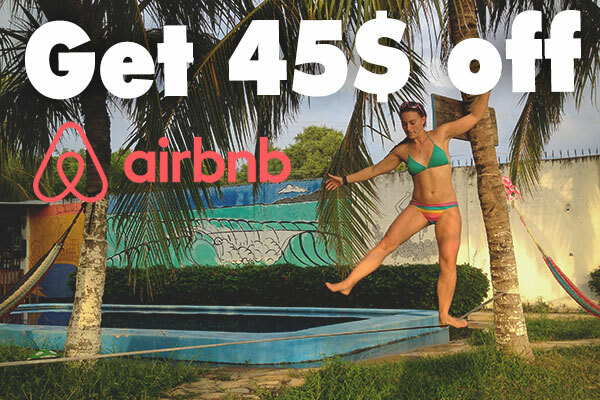 It is unlike any type of diving you have ever done before. On a night dive your senses are heightened and you are much more observant and aware of your surroundings. Because your sense of smell, hearing and now eyesight are diminished, you become extremely mindful of every small detail, you might not have otherwise noticed. Be it your dive buddy’s torch or the gentle rocking of the surge. You are also VERY slow. 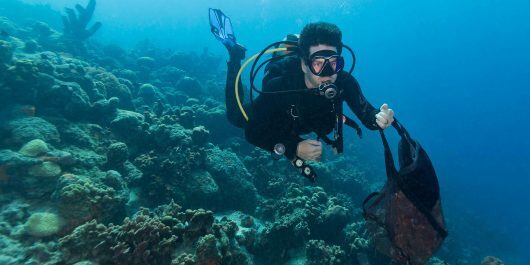 Due to restricted visibility on a night dive, divers often take their time moving back and forth at a site, therefore you should be prepared to cover a lot less ground. 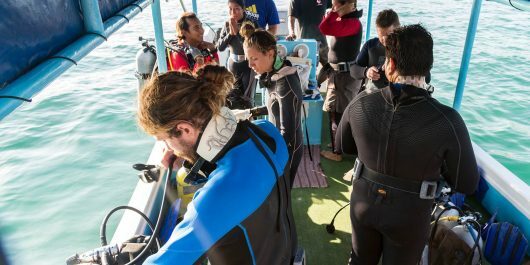 When is the best time to start a night dive? 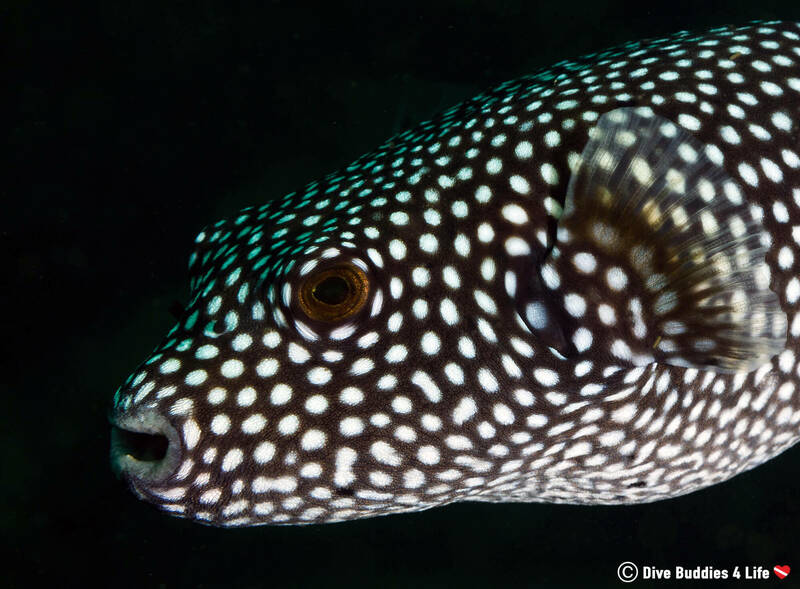 There are varying opinions on when the best time to start a night dive. 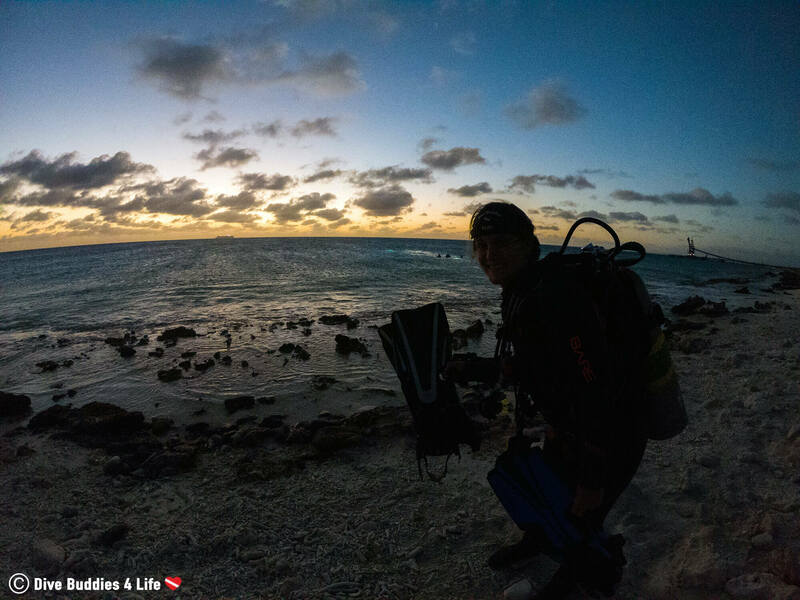 Some prefer to go out in the dead of night while others like to begin their dive preparation as the sun begins to set or just before sunrise. And the truth is there are benefits to all three. Heading out on the water when there is still a little bit of light left in the sky is a great way to begin night diving. 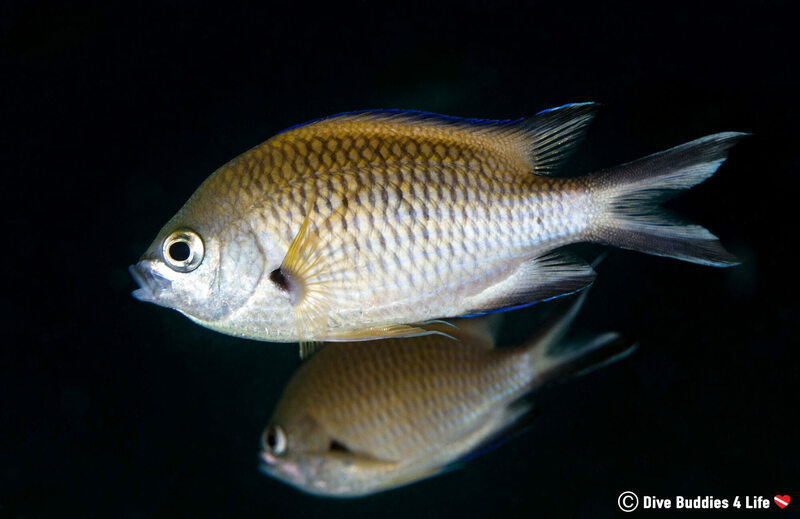 It not only allows your eyes to get use to the darkness but it also gives you the opportunity to watch as the animals in the underwater world transition from day to night. That and, it makes preparing your dive gear a whole lot easier than fumbling around with a flashlight. Sometimes, a particular type of night diving adventure warrants waiting until the inky blackness of night sets in, to get in the water. 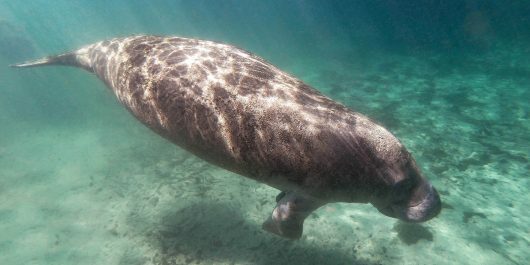 Blackwater diving and specific megafauna dive encounters, such as the Manta Ray dives in Hawaii, happen later in the evening. 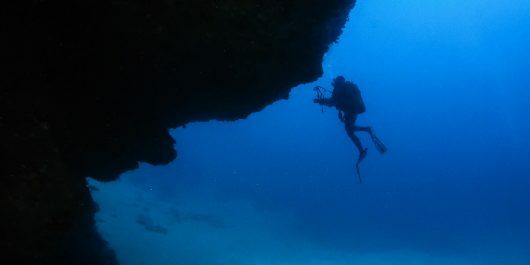 These types of dives typically require scuba divers to wait until dark before beginning their dive. Watching a sunrise on the beach is a privilege in and of itself. Watching the beauty of the underwater world as it starts to wake up is pure magic. Getting up at an ungodly hour of the morning and putting on dive gear, may not be everyone’s cup of tea, but being underwater as the nighttime shifts to those first golden rays of a new day is something that few get to witness. Not matter where you’re diving, or when you are going out on the water, there is always something to be said about safety. Night diving is no different. It’s easy to get disoriented in the dark. 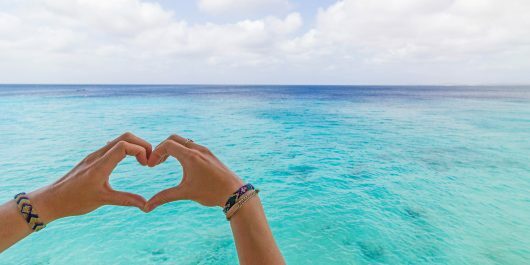 Therefore it’s important that night divers are familiar with the spot they are scuba diving in, particularly if they are not on an organized trip. 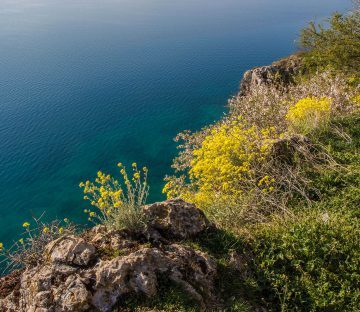 Always dive the site during the day before so that you can wrap your head around the sites topography and get the lay of the land. It will make nighttime naviguation less stressful. 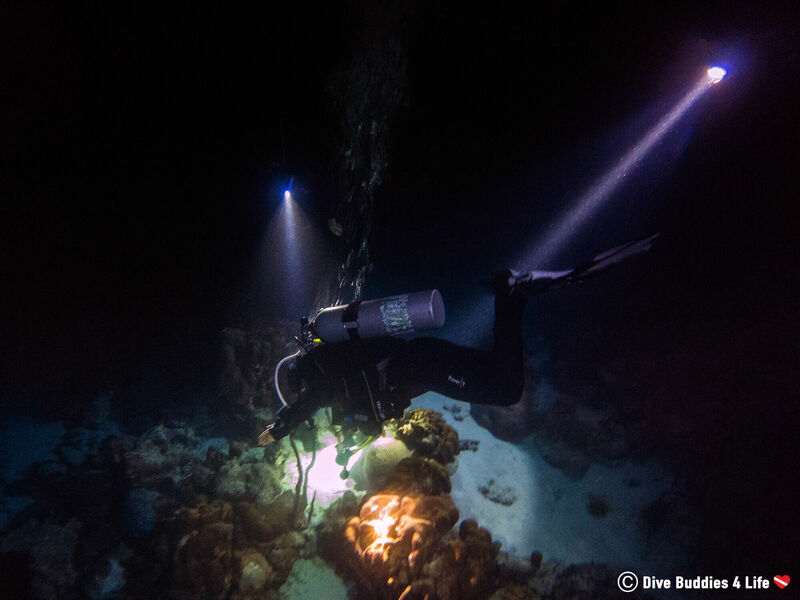 Carrying a dive torch is an essential part of night diving safety, but sometimes one light is not enough. Even the best equipment can fail and when it does, it’s good to be prepared. 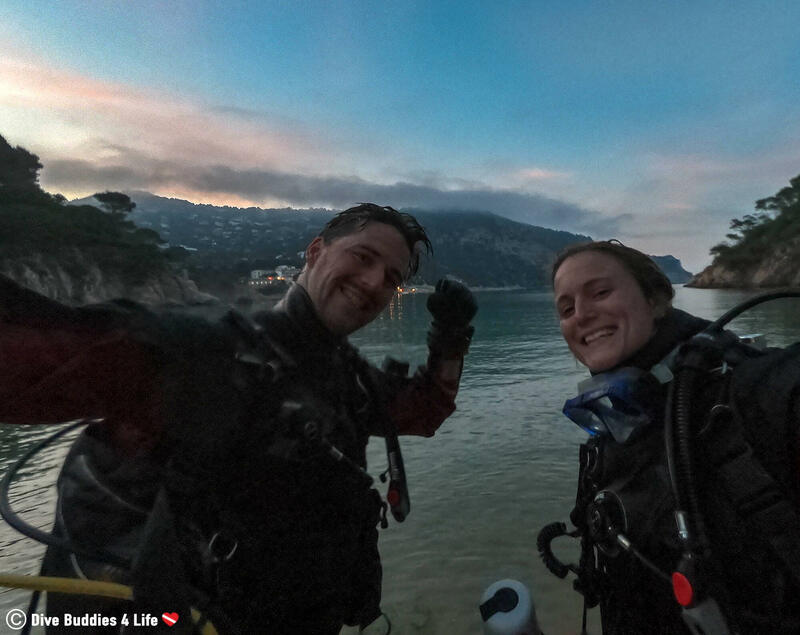 Night divers should always carry two dive torches on their person, a main one and a smaller secondary light for backup – just in case… It’s also worth mentioning to make sure your flashlight batteries are fully charged beforehand and cliped on to your gear. 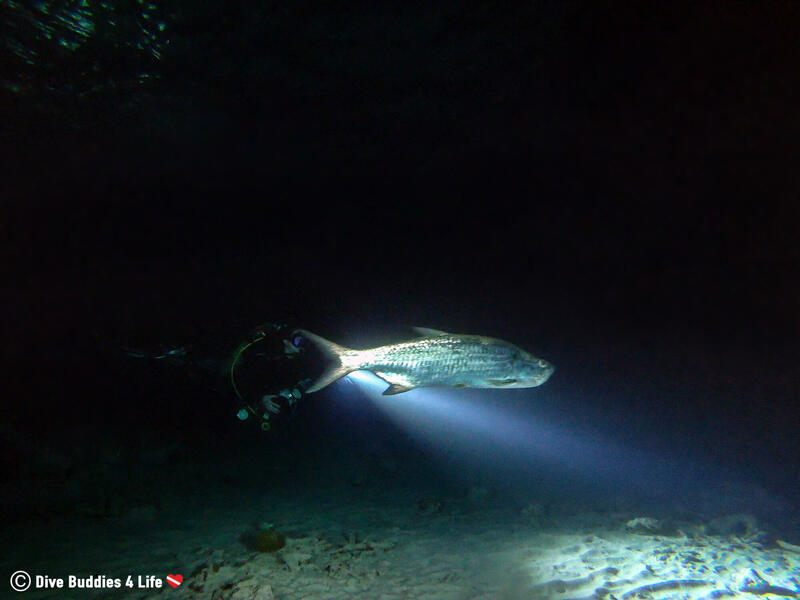 Need some dive light inspiration? Check out this Kraken Sport Hydra 5000 WSRU. 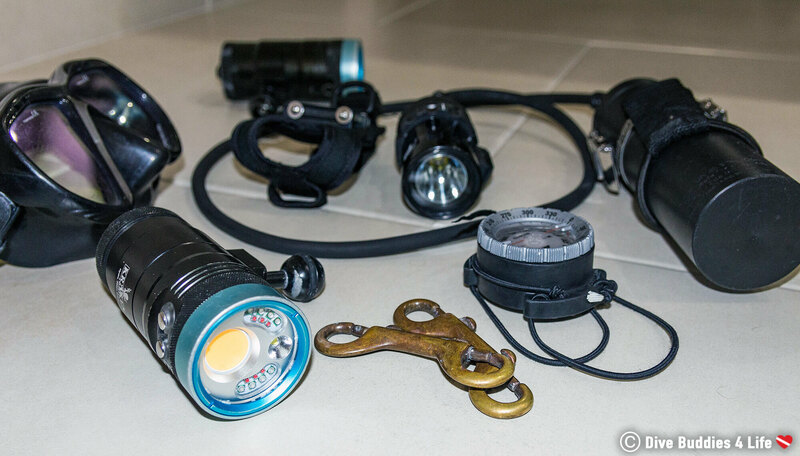 This all in one photo and dive light, made by a Canadian company, is part of our scuba diving kit. The light has wide, spot, red, and UV modes enabling us to use them for a variety of things. I’m sure you’re no strangers to the mantra – plan the dive, and dive the plan. 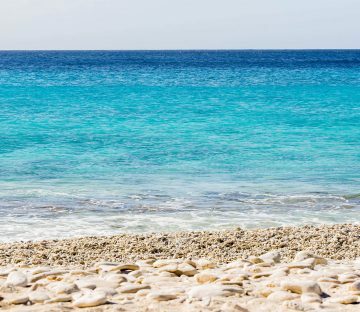 When planning out a night dive, it’s important to keep your dive shallow and short. Why stay shallow and shorten your time underwater? Well, diving can be risky as it is, and night dives increase that risk. By staying shallow and being conservative with your time you are giving yourself wiggle room in case something goes wrong. Also, night dives almost always happen at the end of the day from which you’ve probably already done dives during the sunlit hours. Chances are, you want to do have minimal bottom time, meaning shallow and short. 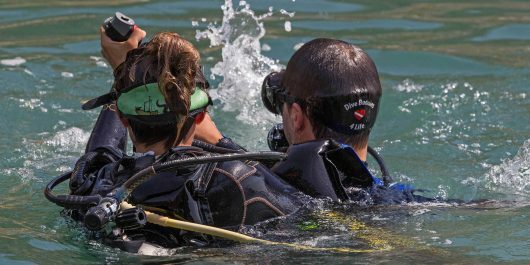 Letting someone know when and where you are scuba diving is very important for safety. If things go wrong, and at night there is a higher chance they can, you want to have help ready to respond. Make sure you are informing a safe and reliable source who is not a part of your night diving expedition. Outline details like the dive site location, the time you are hoping to get in the water and time you expect to be home. Let them know you will touch base once you are finished the dive and that if they have not heard from you by a certain time, they should start investigating. Night diving, either you love it or you hate it – there is typically very little grey area when it comes to this style of scuba diving. Swimming around in a dark ocean isn’t the norm. But at night the whole allure of the underwater world changes. 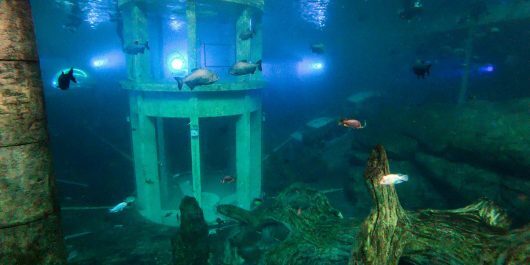 The thrill, adventure, and rush of night diving can breathe a whole new outlook on old dive sites. 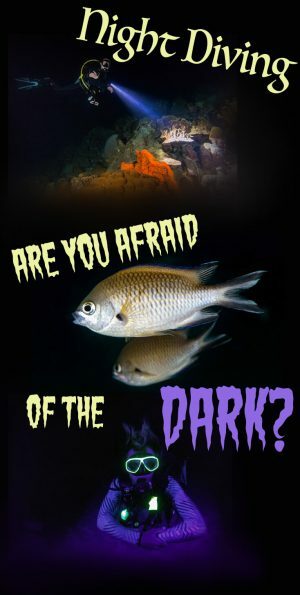 So the big question is; are you afraid of the dark? What are your sentiments on night diving? Do you love it or are you a diver that would rather not swim in the inky blackness of night?